Whether up against a wall or between a rock and a hard place, this close-quarter specialist makes it all look pretty easy. FT4/Stage IV engine requires no diesel particulate filter (DPF). Extended service intervals help maximize uptime. New hood design, expanded front and side glass, narrow front cab posts, overhead glass, and numerous mirrors provide optimal visibility. Vertical spin-on fuel and engine oil filters are positioned for convenient and simplified servicing. 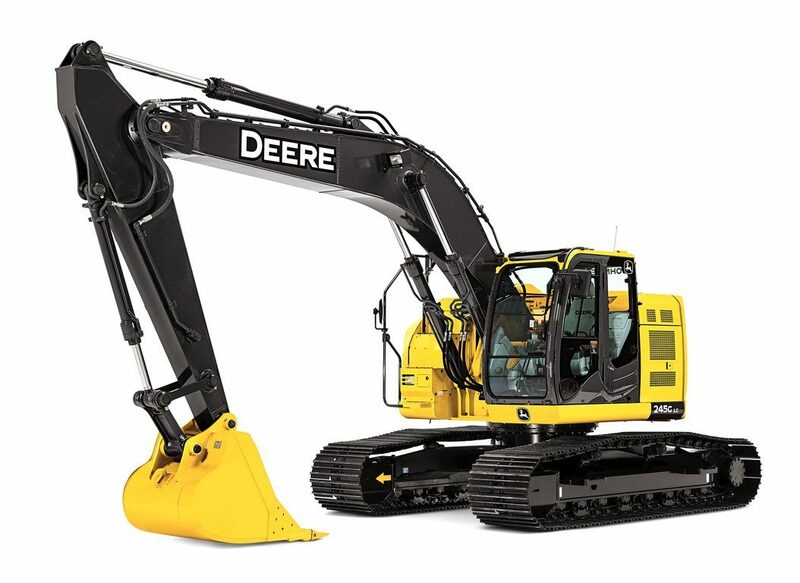 Large fuel tanks and 500- 5,000 hour engine and hydraulic oil-service intervals decrease downtime for routine maintenance. A John Deere exclusive, three welded bulkheads within the boom resist torsional stress for amazing durability.